I was a tad lazy this year, and decided to make a shared Easter Basket for my little ones. (9 months & 2 years). Well to be perfectly honest, I didn't see much point. They play with each others toys, and they'd only want what the other one has! 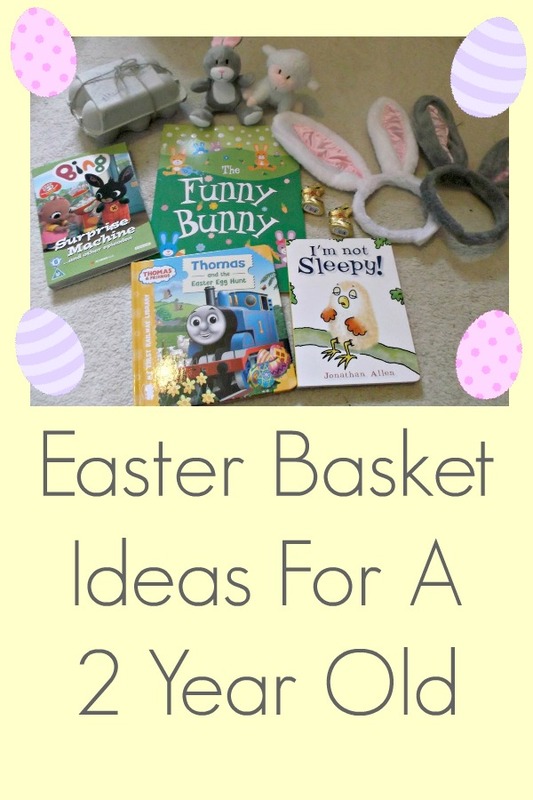 But I still created this basket with my 2 year old in mind. The basket I used is actually a spare one I had around the house, and the 'grass' in the basket, I saved from when I received a parcel a while back. Cheapskate. The Little Ones are really liking Bing at the moment, and it is quite cute to be honest, if a bit silly. But Little Girlie saw this and her eyes lit up, she didn't know I got it. And Hey, it's a bunny, so that's Easter themed right? I think this one will be a nice little surprise when they open the eggbox. There needs to be a soft toy in there somewhere, and these are only little, and look at their little faces! Themed colouring books are always a hit, and little girlie loves colouring at the moment. The little ones do love books, and I felt their needed to be a more boyish item included. So this book is perfect. I don't think this book is at all Easter themed, apart from the fact that it's a chick! But a book's a book. So I'm sure it'll go down a treat. What would you include in an Easter basket?